My long birthday weekend is going well, I could get used to relaxing mornings to take the dogs for leisurely walks, go to the gym, drink coffee, go for runs outside, etc. It’s back to the grind tomorrow after another day of fun today and I guess that’s a good thing too. 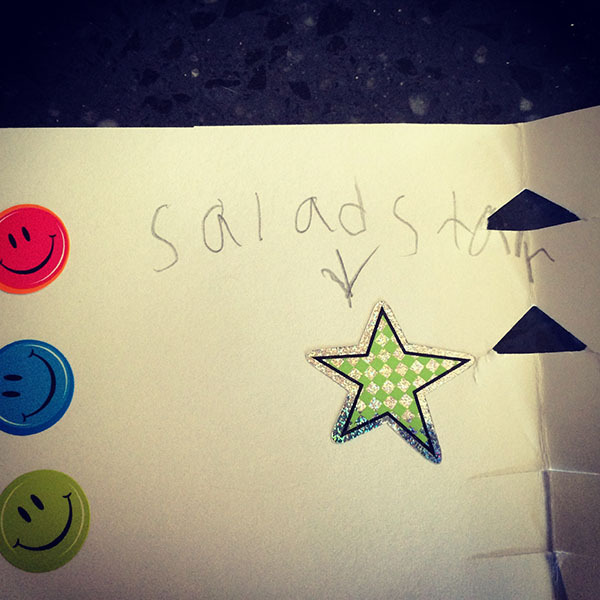 My niece made me a birthday card calling me a “salad star”. 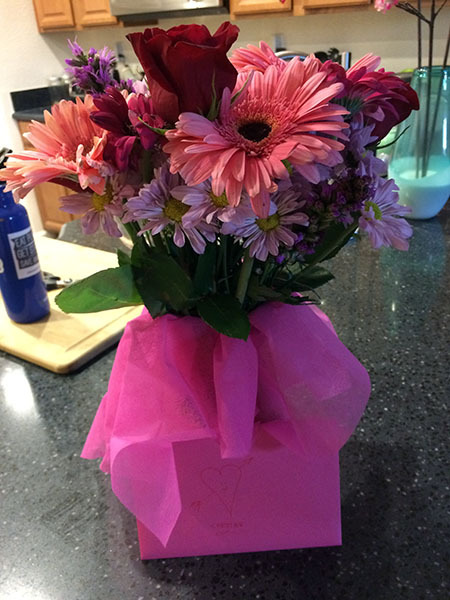 Hubby has been leaving sweet surprises too like flowers and a sweet card. Sunday I headed to Garden to Grill with my mom and sisters for a comfort vegan brunch and it did not disappoint! Biscuit, waffles, tofu frittata, potatoes, strawberry lemon bread pudding that was amazing, etc. Yeah, it was a splurge and I’m only allow myself to enjoy it for birthdays or after finishing a race. 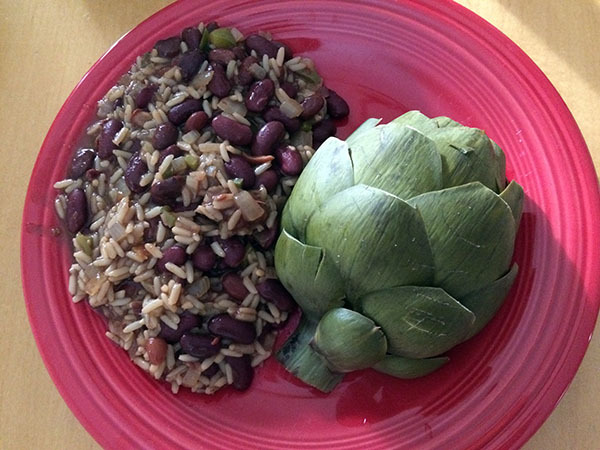 Hubby also made a great vegan beans and rice dinner with veggies and steamed artichoke. Leela has just been hanging out waiting for her next walk. Tomatoes are in season here, super sweet and ripe at farmer’s markets. 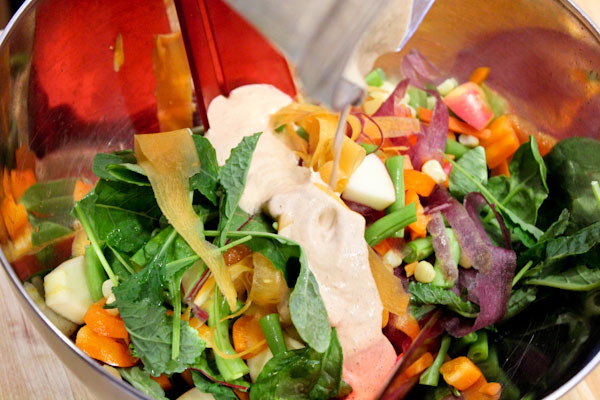 And inspired this kicky dressing with a lot of tangy flare for a colorful salad. 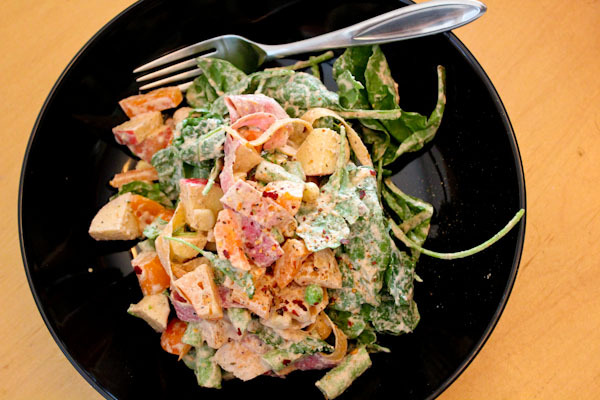 The dressing is a pretty creamy pink color with a smooth texture. Delicious topped with smokey seasoning and sweet chunks of apple. 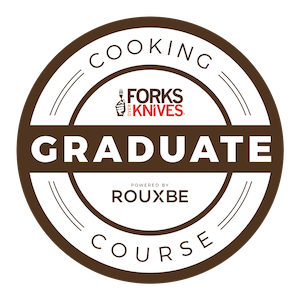 It offers a little heat and tangy tomato flare paired with herb flavor depth. A beautiful rainbow of nutrients for a cooling summer meal. Great eats! 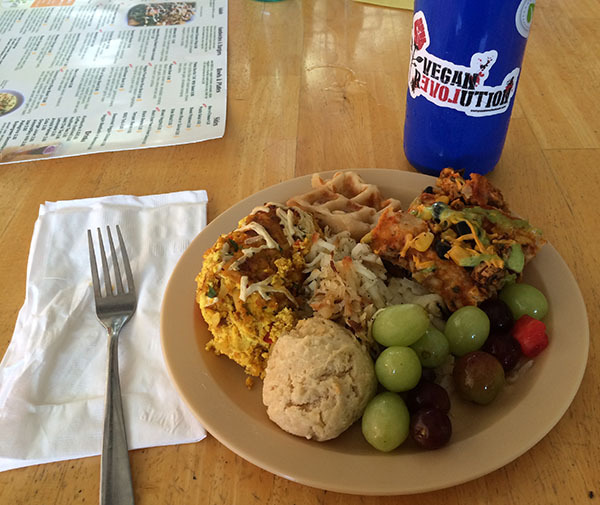 Full plates – gotta LOVE them! 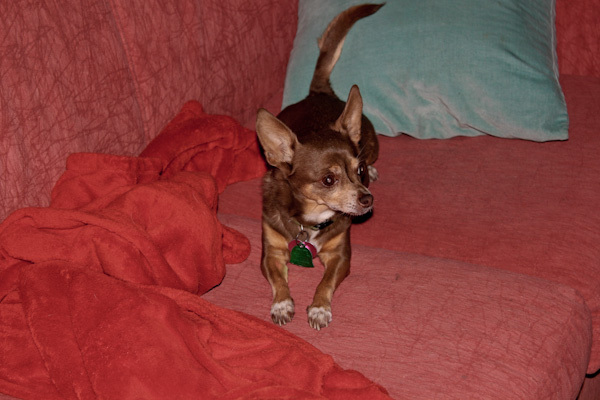 Leela is looking cute as ever, too! Thanks and Leela is a sweetheart. This is fabulous! I have tons of hemp seeds and no clue what to do with them, so I’m excited to try out your dressing. 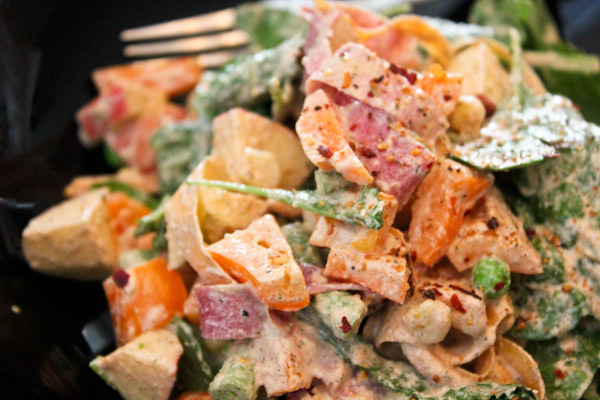 Those summery flavors sound like they’d be incredible over corn salad especially.